Retiring in Florida, if water and warm water at that, is your idea of the perfect retirement... Florida would get my nod. Throw in a popular mouse, and you have a retirement place that is unique in the USA...your grandchildren will love you. 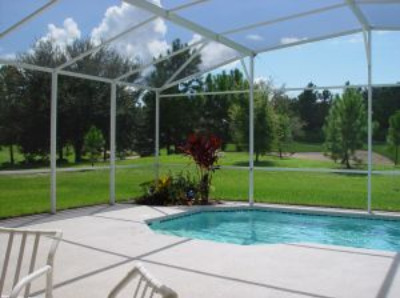 Retiring in Florida, is lots of folks first choice when they think of where to retire. And who could blame them, Florida is full of retirees with more on the way. The combination of warm winters, no state income tax, and lots of like minded company makes it the top choice of many for the best state to retire in. No surprise here, southern Florida is far enough south that it is the only region in the US, not counting The US Virgin Islands , a territory not a state, or Puerto Rico a commonwealth, considered to have a tropical climate. Because it is a peninsula you are never very far from the ocean and a sea breeze. All of Florida has a pleasant climate in the winter, the further south you go the warmer it gets. Here is one way to beat the bugs...a Florida room. This keeps the bugs off you, and leaves out of the pool. Its a great way to enjoy outdoor living with out insects. The trade offs to this warmth are bugs and humidity. You will soon have Off and other bug repellents on your shopping lists, the mosquitoes can be tough at time. If you have not driven in Central Florida during "love bug" season you are missing an experience. If you do remember to get them off your car as soon as you have stopped for the day, they contain a chemical that damages car paint. The season is short thankfully, but you will remember it. Hurricanes are also a consideration for the summer months. This also is reflected in Homeowners insurance rates, they are 2 to 3 times higher in Florida than say Arizona...hey if Florida was perfect it would be so crowded you could not move around. You can't have tropical weather without humidity, and you can get used to it. When you are reading about snowstorms in the Midwest you rarely think about it at all. 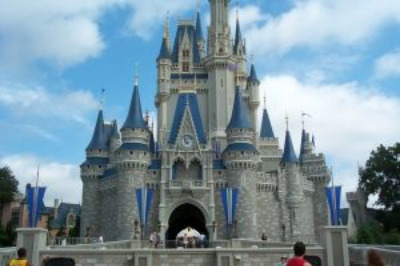 Disney World the number one tourist attraction in the World. You will have no shortage of guests when retiring in Florida. Who can resist Mickey Mouse and his friends outside of Orlando? If you are 6 or 63 you will have fun. Now Disney World is expensive, but as a resident of Florida you are eligible for an annual pass, they cost anywhere from $100 for a water park pass to $469 for a pass good all year at all Florida parks. Sorry Arizona, retiring in Florida, offers the best beaches in the 48...OK 50 and territories, sorry Hawaii, if you want the fine white (and hot) sand found around Destin. It is simply the best. See the above proof. 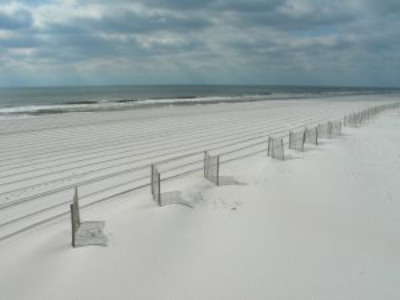 All Florida beaches are wonderful and make for great beach combing and morning walks. There is something about the sea and the fresh sea breeze that cannot be replaced for some folks, if this is you...you know what I am talking about. Remember, anywhere in Florida you no more than 2 hours to the Atlantic or the Gulf Of Mexico. How frugal is retiring in Florida? Donald Trump lives in Florida, among other places. However Florida contains lots of retirement communities that offer frugal retirement living opportunities. There are literally hundreds of manufactured home parks. They are certainly not trailer parks. See here for this popular way to enjoy frugal retirement living. Folks if you are saying you envisioned a better standard of living when you retired, please get over it and retire. Compared to working longer in an uncertain investment climate to retiring to a frugal lifestyle I would take door B any day. Remember you will have a lot more friends to choose from in a park model mobile home community than you will with country club living. Think about it. 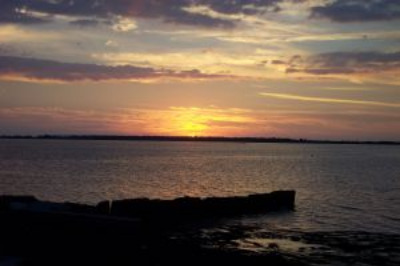 Retiring in Florida is also great for RVer's and boaters. There are lots of RV parks to choose from. Boaters if you can find a place to anchor it can be a very frugal lifestyle, some Florida marinas/docks charge Thousands a month for the privilegeof plugging into their shore power. If I wanted to live aboard a sailboat I would head for the Keys. No state personal income tax reason enough for some people retiring in Florida. Property taxes...Considerably higher than other retirement options, check this out carefully. Sales taxes...6% to 9.5% depending on the county, food and drugs are exempt. Florida has the highest (17.0%) percentage of people over 65 as a percentage of the overall population in the USA. Lots of folks are making the decision of retiring in Florida vs other choices. That speaks volumes for its popularity among retirees looking for sunshine, beaches and active frugal retirement living.